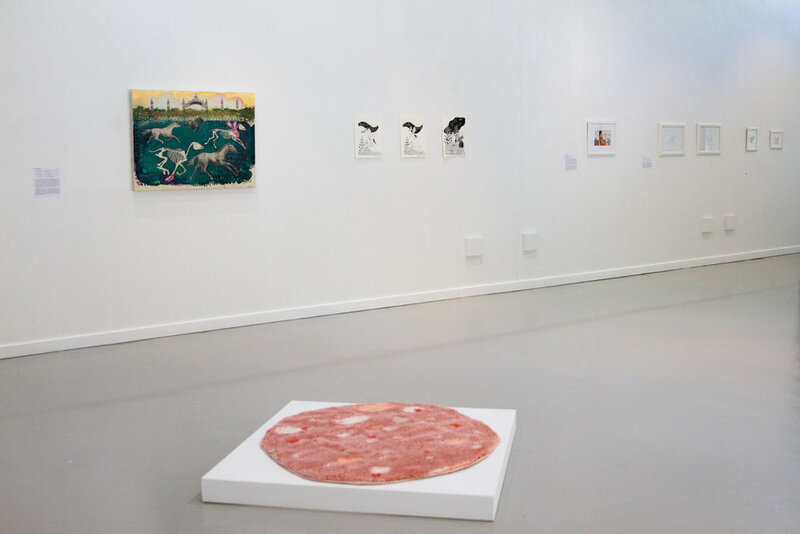 This curated fundraising exhibition was a ‘sweepstake free’ alternative to the 2016 Melbourne Cup luncheons. 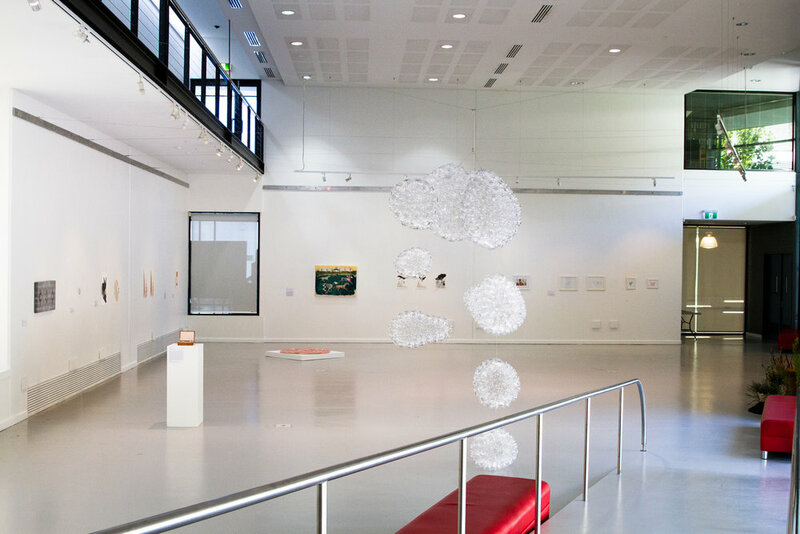 In 40% of income from artwork sales was donated to SAFE Perth - Saving Perth Animals from Euthanasia. Zoe Barry, Emily Boyd, Claire Canham, Calliope Bridge, Donna Franklin, Dan Gladden, Maria Hildrick, Elizabeth Marruffo, Lisa Max, Anna Nazzari, Kimberley Pace, Horse On Toast (Amy Perejuan Capone, Stephanie Reisch, Sue Starcken and Emily ten Raa. Photographs by Cherina Hadley Photography and Gary Paris Photography. 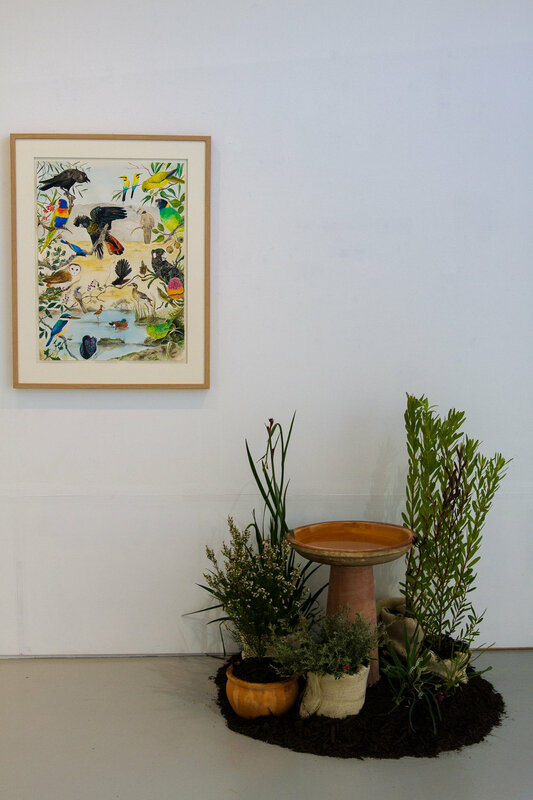 Donna Franklin, Kaartdijinboort Kalyogool Wirt - No Knowledge Forever Empty, 2016, watercolour, acrylic, pencil, pen, plants, soil and bird bath, Framed drawing: 76cm x 56cm. 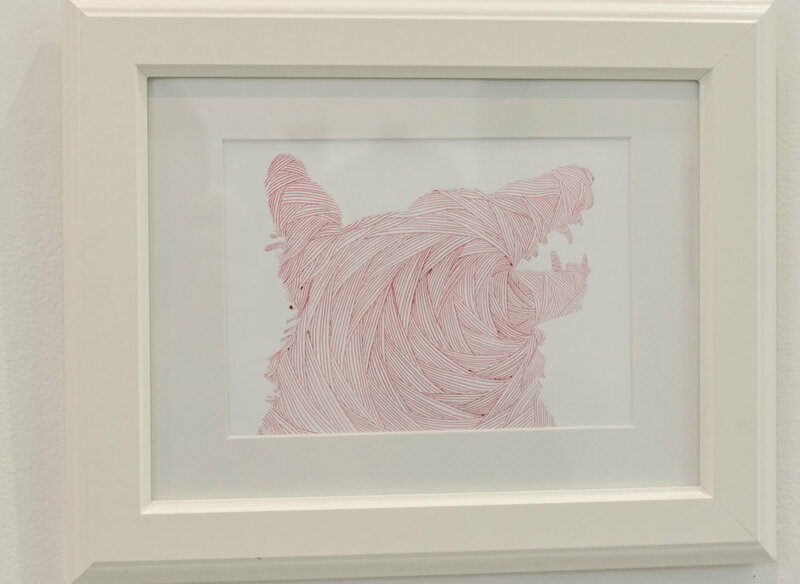 Claire Canham, Dog, 2015, pen on paper, 18 x 24cm. and Can't Race Wings, 2016, oil on timber panel, 15 x 15cm. Amy Perejuan Capone, Soft Slice, 2016, Hand tufted acrylic wool, burlap, cotton, 1000mm diameter. 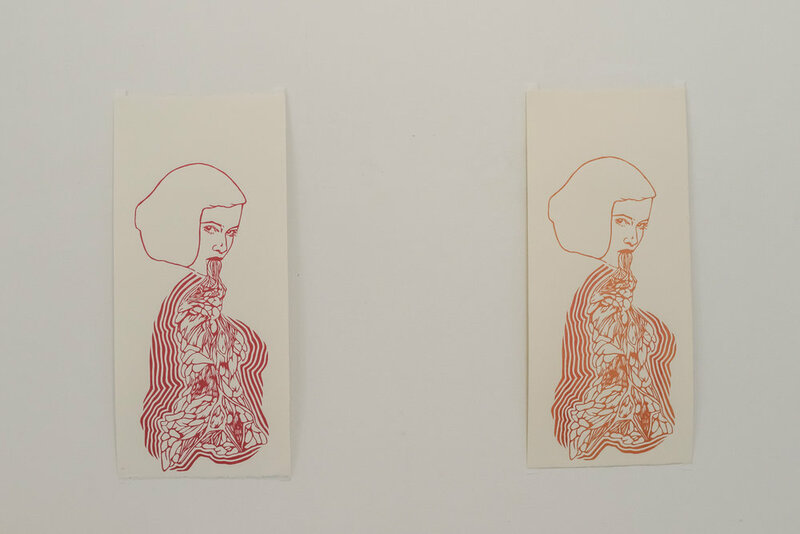 Kimberley Pace, Untitled (Red), lino print, 52 x 24.3 cm and Untitled (Orange), 2012, lino print, 52cm x 24.3cm.